Hey there Funko and "Guardians of the Galaxy" fans out there! Look what Ryan Penagos (that's "Agent M" to you and me) just tweeted about! It looks like a dancing baby Groot figure has become a reality thanks to Original Funko and will be available before one that actually dances is released. Penagos is the "Executive Editorial Director, at Marvel Digital Media. Writer, blogger, lover of tacos, tattoos, comics, video games, pop culture & cute stuff." and tweeted this update from his personal account. He also said that he has another Original Funko announcement coming this Monday, so stay tuned. 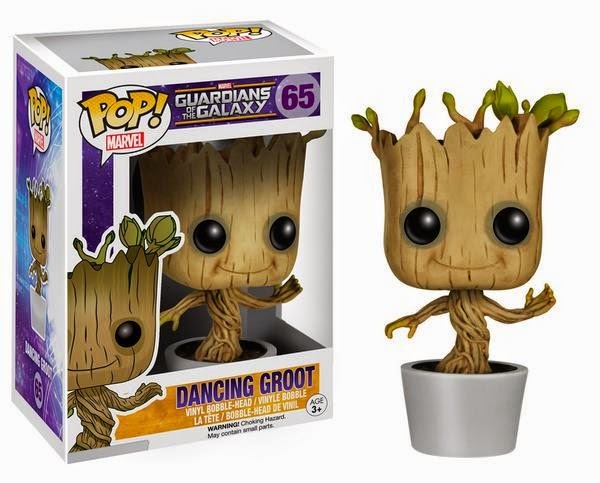 Regarding when you can get your hands on this little sweetie, he tweeted, "For those asking about when you can get your Dancing Groot--pre-orders will start real soon! Official price/release info next week!" Now to get my grubby little hands on this adorable sapling. Get throughout touch with 1-855-637-4055 for a professional tarot reader. I'd like take a moment for you to let you know information on MY OWN hottest %100 free psychic reading page. I may be previously working definitely tough, thank people for permitting me to discuss your together within you.